A small insurance company transformed into a publicly traded $7 billion business in less than two decades, thanks to its leadership team. While many factors have led AmTrust Financial Services’ sustained success, one word continues to define the company: consistency. Ungar met AmTrust’s key players two years before while fulfilling his duties as a managing attorney at the New York Liquidation Bureau, where he handled issues related to defunct insurance companies. That’s when founding shareholder and CEO Barry Zyskind approached the Bureau with a plan to acquire and rehabilitate a failing insurer, which AmTrust intended to use to expand its business. As the transaction unfolded over the course of many months, AmTrust realized that the company would need an in-house lawyer and approached Ungar, who knew it was a once-in-a-lifetime opportunity to join a company on the way up. Zyskind and colleagues wanted to create a niche in the market without competing head-on against the large property and causality players. Together, they decided to first focus on warranties before branching out into other specialized areas. To execute his vision, Zyskind needed a solid and specific team. In 2001, he found his chief information officer (Christopher Longo), chief financial officer (Ronald Pipoly), chief operating officer (Michael Saxon), and treasurer (Harry Schlachter). The newly formed team met in a repurposed executive dining room and started laying a foundation to move the company forward. They crafted a plan for targeted acquisitions and decided to enter another niche by writing workers compensation plans for small and medium-sized employers. Again, they would avoid competition by focusing on volume instead of going for the much sought-after large claims. Smart acquisitions became critical, as AmTrust had plenty of capital but lacked ample business volume. In 2002, AmTrust started its long history of growth through acquisitions through a clear, focused, and calculated strategy. Zyskind cast the vision, Saxon made it work, Pipoly crunched the numbers, Longo built out the IT system, and Ungar closed the deals. Meanwhile, they all worked to build the business and develop relationships with vendors, clients, and regulators. By 2005, AmTrust had opened an international office in Europe and completed key domestic acquisitions. “Each of these deals taught us something new and elevated us to a new level,” Ungar says. In 2006, the group purchased Wesco Insurance Company and expanded operations to all fifty states while adding additional underwriting services for its program business and specialty risk categories. Shortly thereafter, the company went public, trading on the NASDAQ as AFSI. The company quickly proved its ability to outperform the market, and its leaders had no intentions of slowing down. 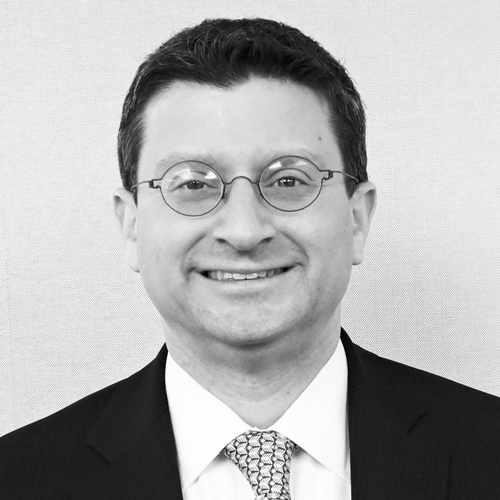 In 2009, as AmTrust continued to grow through mergers and acquisitions, they hired chief legal officer David Saks from AIG, where he had managed all legal aspects of the company’s M&A activities. Ungar describes the era that followed as a turning point. “We had proven our concept, and we started building out what we acquired and focusing in on where we really wanted to go,” he says. “We were small and fearless, and there was room for trial and error.” The company had grown from a few hundred employees to a few thousand. Its infrastructure went from one server in a closet to a sophisticated technology hub based in Cleveland, Ohio. Ungar’s team also evolved from two to more than twenty people. Over the years, AmTrust’s strategy has remained consistent, along with its personnel. Most of its leadership team remains intact and unchanged. Now in his early fifties, Ungar is one of the oldest AmTrust executives. The disciplined company speaks in one voice and moves on one path. Although Ungar’s team has completed dozens of acquisitions, they’ve folded each company into AmTrust. Today, the entire organization functions on one proprietary operating system. The company now has its sights set on surpassing the $10 billion threshold. “We’re going to keep doing what we’ve been doing,” Ungar says. “We all have input into the deals we consider, and we only pursue transactions that make sense for us. We know what we’re looking for, and we’re ready to say ‘yes,’ but not afraid to say ‘no.’” That’s the strategy that AmTrust was built on—and it’s the strategy that will continue to take the growing company into the future.